HÀ NỘI — The State Treasury of Việt Nam raised some VNĐ4.4 trillion (more than US$190.7 million) in the last government bond (G-bond) auction in June, reported Hà Nội Stock Exchange (HNX). The amount brought the total funds collected from G-bond auctions in the first half of 2018 to nearly VNĐ74.6 trillion ($3.23 billion). HNX said the auction it held on June 27 was a success as it sold 73.33 per cent of the total volume offered, despite interest rates continuing to rise for all maturity terms. The auction looked to sell VNĐ6 trillion worth of G-bonds with five-year, seven-year, 10-year, 15-year, 20-year and 30-year maturity. As much as VNĐ2.1 trillion were mobilised from 10-year bonds, with an annual interest rate of 4.37 per cent, up by 0.02 percentage from that of the previous auction on June 20. Bonds with a 15-year maturity were sold for VNĐ1.8 trillion, with an annual yield rate of 4.7 per cent, 0.02 percentage higher than that of the June 20 auction. 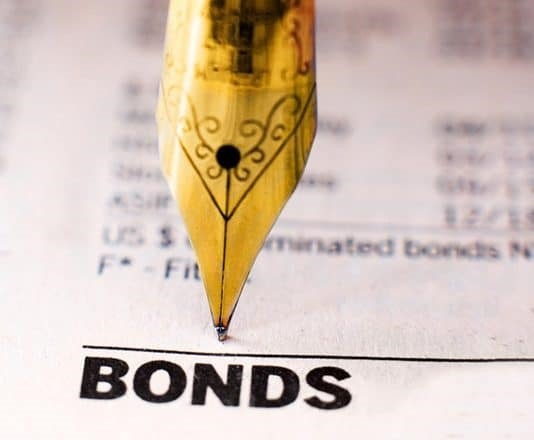 As for 20-year bonds, VNĐ500 billion were raised at an interest rate of 5.2 per cent per annum, an increase of 0.02 percentage from that of an auction on June 13. No bonds of five-year, seven-year and 30-year maturity were sold. The National Financial Supervisory Commission has predicted that the G-bond market in 2018 will see modest changes than last year, thanks to an economic growth of more than 6.7 per cent and an inflation of below four per cent. It expects the value of G-bonds issued this year to reach VNĐ180 trillion. Last year, Việt Nam sold some VNĐ159.9 trillion worth of G-bonds, with an average maturity of 13.52 years and an annual interest rate averaging at 6.07 per cent, down by 0.2 percentage points against 2016.